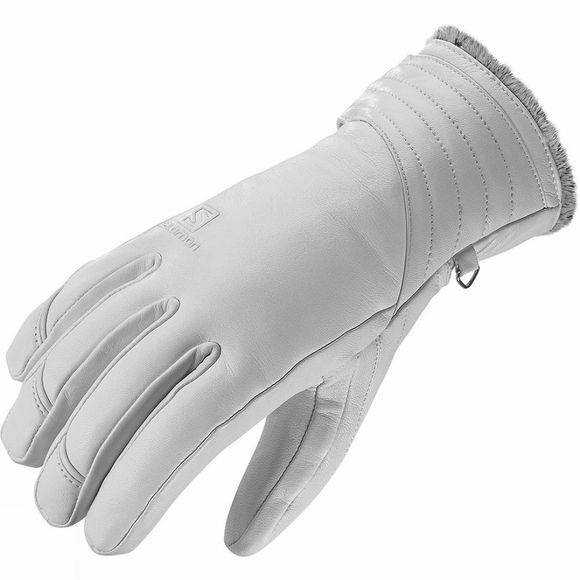 Stylish and very warm the Salomon Women's Native Leather Glove is made from elegant high quality leather that is strong enough to ensure durability and soft enough to provide great comfort. The PRIMALOFT® insulation make this Glove extremely warm alongside the finger mitten construction with inner finger lining to combine comfort and maintain body heat. The short cuff with fur warmer is even more cosy thanks to the fur, it is the right cuff construction that avoids bulky sensations due to multilayers around the wrist.